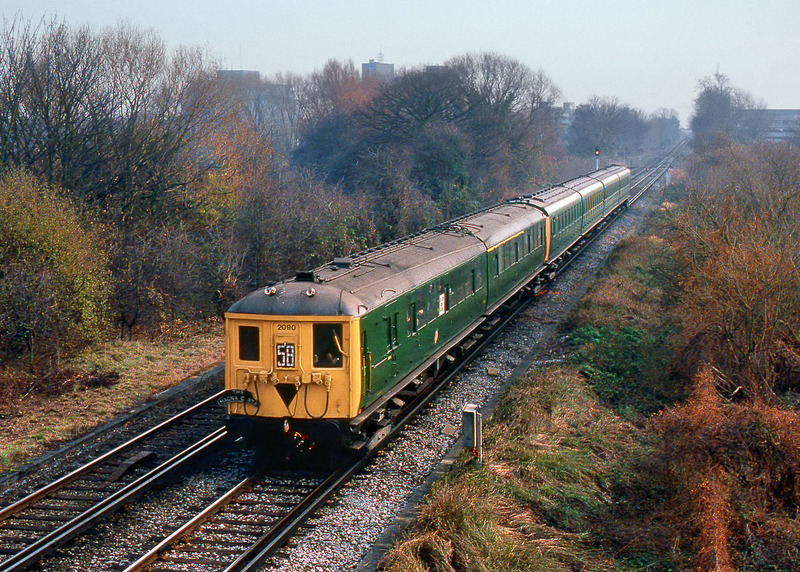 Class 401 2-BIL 2090 & Class 405 4-SUB 4732 pass Staines Moor on 10 December 1989 with the 13:33 Staines to Windsor & Eaton Riverside service. This was one of a number of specials run as part of the Windsor & Eaton Gala Day, celebrating the 140th anniversary of the line. Apologies for the poor quality, but the very dull day required the use of the extremely grainy Kodachrome 200.